It is time to talk about the global event that connects entire world to one platform. The long-awaited football series is scheduled to begin on 14 of June 2018, and it will end on 15th of July 2018. The true football or soccer lovers cannot afford to miss the event. Teams from almost every continent will take part in this global event so fans cannot take a risk to miss the wonderful battle series. Many game lovers are wondering about who is going to win this global event by chasing the top scores. It is hard to finish the battle that reflects the scenario of a clash of the Titans. I have also provided an interactive free spreadsheet for the Excel World Cup Russia 2018 Sweepstake, likewise, as the last European Championship in football in 2016. Please check my previous football Excel project below. The predictor spreadsheet has been created by professionals to assist enthusiasts in the easy analysis of match scores. All the essential details are well highlighted in the schedule. In this spreadsheet, the Excel WorldCup Russia 2018 details are listed accurately. The spreadsheet has been created without the use of a VBA code and contains all the fixtures, schedule, dates and time of the match. I have also added options for selecting the time zone and language. After fill in the scores between the teams in bookings boxes, the spreadsheet automatically calculates the goals, updates the data in the table, sorts the table according to the Rules of FIFA and assigns a team to the next stage of the competition at the right time and place. 32 teams are going to take part in this event in 2018 and they are presently divided into 8 groups. The runner-ups and winners will get a chance to move to the next level of the game to face the new challenge in the game battlefield. All players might be practicing hard to present their country with huge potential and each one of them must be dreaming about the victory. But only the strongest one will come out as the top ranker in WorldCup Russia 2018. The first 16 winners will be able to reach the quarter-final of the match and the winners at this round will get the opportunity to fight for the semi-final. The fight will continue to the final round and ultimately we will see the winner who will own the wonderful golden trophy. Greater number of points in all group matches. Goal difference in all group matches. Greatest number of points in matches between tied teams. Goal difference in matches between tied teams. Greatest number of goals scored in matches between tied teams. Sweepstake or office pool for 20 players, including dashboards. Select and highlight your favourite team. Selection of Languages options: English, Polish, Russian, Spanish and German. Rules of Sweepstake created in spreadsheet. The user fills the sheet in, only using the yellow boxes, players’ names and types of results of individual players for matches. The results of matches (grey boxes) are taken from the worksheet 2018. The system formula counts the number of points each player earned in each of the matches based on the following rules. 1. If the player correctly predicted the exact outcome of the match, (Result and Score) they will receive 3 points. 3. In any other case, the player will receive 0 points. 4. If multiple players finish on the same number of points, there finishing order in the table will be decided based on whichever of the players predicted an accurate result the most times. 5. In other cases, players will take the same position. 6. These rules are automatically implemented; therefore, the table will sum up the results of all the players. This full guide about games can help you to visualise game progress at every next stage without losing any essential information. Prefer to check the schedule on time to get appropriate insights about the game. Please feel free to download Excel World Cup 2018 Sweepstake Predictor Match Schedule template. It does not require any additional software, or any registration and it is also free of VBA code. Just push the button below, save the file and enjoy supporting your team and keep calm during the contest if it is possible. 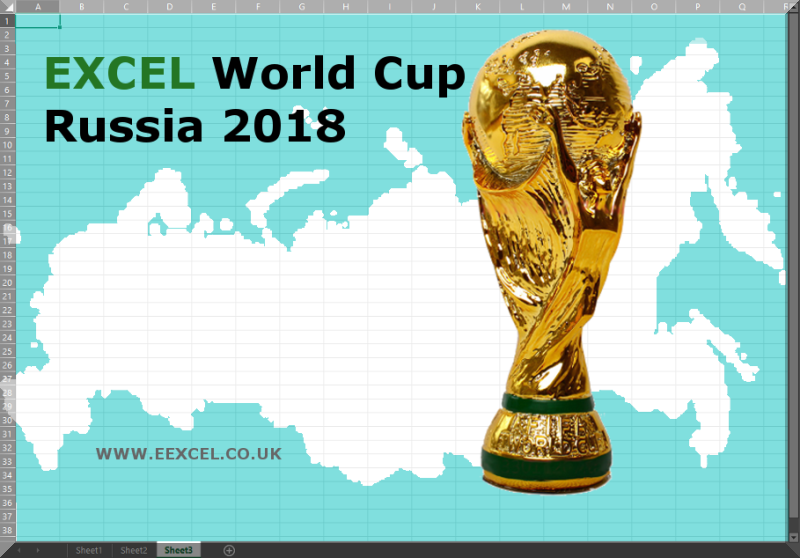 If you are interested get an advanced version Excel World Cup Russia 2018 PRO, Sweepstake for 20 players or more & dashboards, automated diagram visualisation with flags and special access to advanced functions and methods used in this spreadsheet including full access to other spreadsheets, please visit the shop, button below. My goal is to help you create work arrangements that are manageable and transparent, whilst reducing work time, the number of mistakes, and the cost of service.